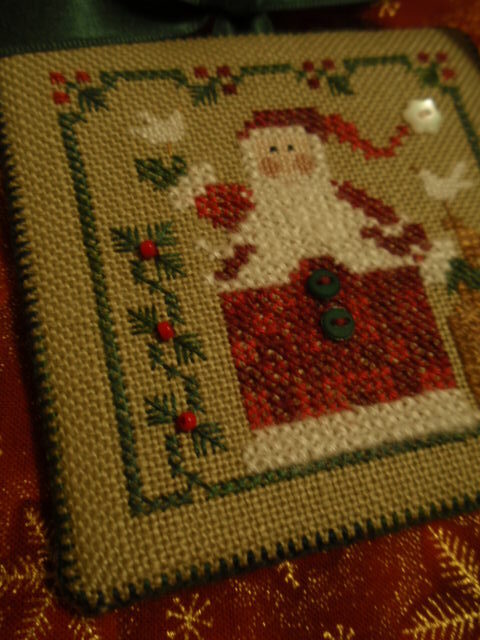 My Santa ornament is a pattern from Drawn Thread. It took a little longer to finish, but it is a lovely design. 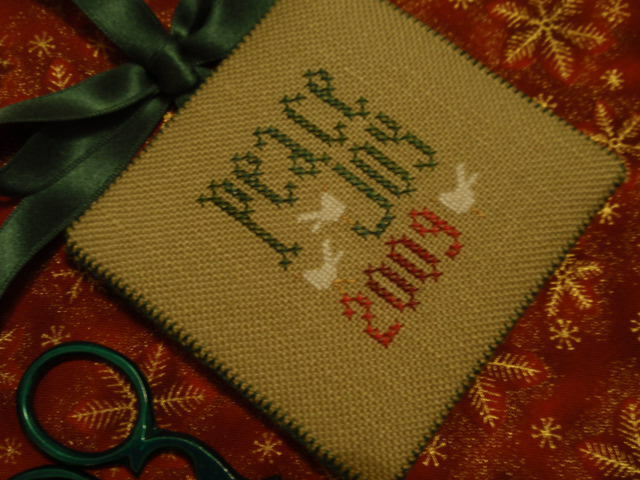 I especially love the backside of the ornament…Peace and Joy. Says it all for the season. I adore this little Scotty dog. It is a gift for someone and I couldn’t post it until I was sure it was received. Tartan is one of my favorites. 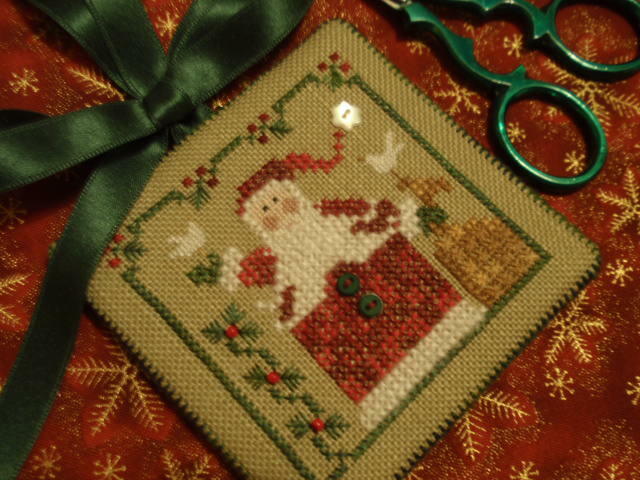 This pattern is from the magazine Just Cross Stitch Christmas ornament edition for 2009. 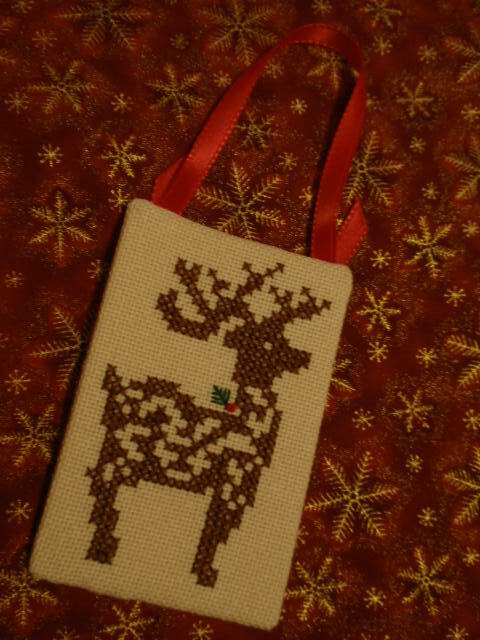 This reindeer was a freebie ornament from last year that I didn’t get around to working on until now. It only took a couple of hours to complete the entire piece including finishing. I have no idea who designed it and I don’t remember where it came from, but I think it’s lovely. 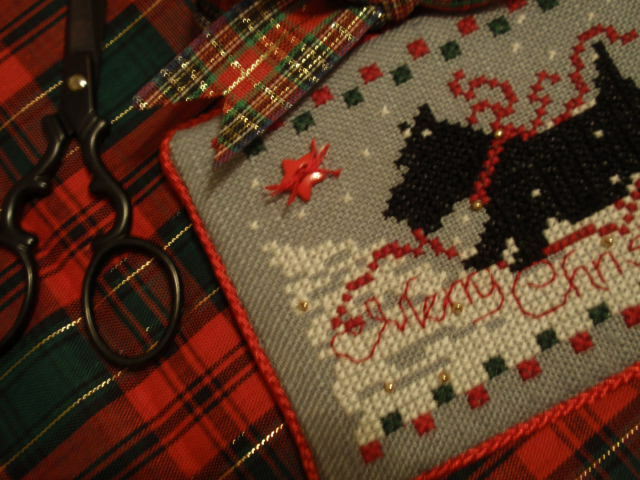 I did add a bit of holly and berry to the original pattern. Finished in time for Halloween was my little “Humbug.” I do not know why it is called a humbug…perhaps someone out there knows. 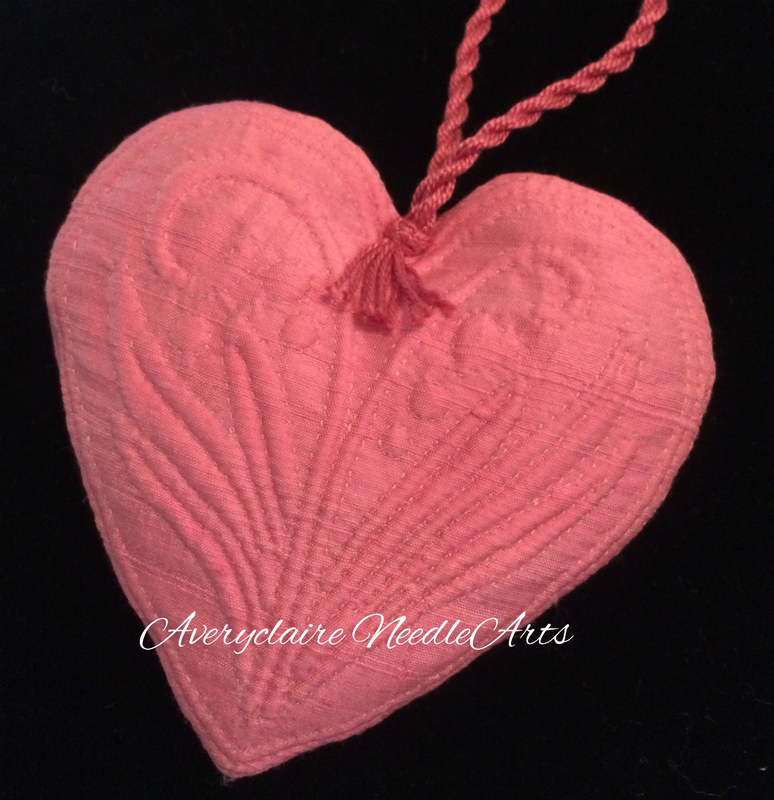 But it was quick to stitch…done on a rectangular small piece of fabric then sewed into this triangular shape. 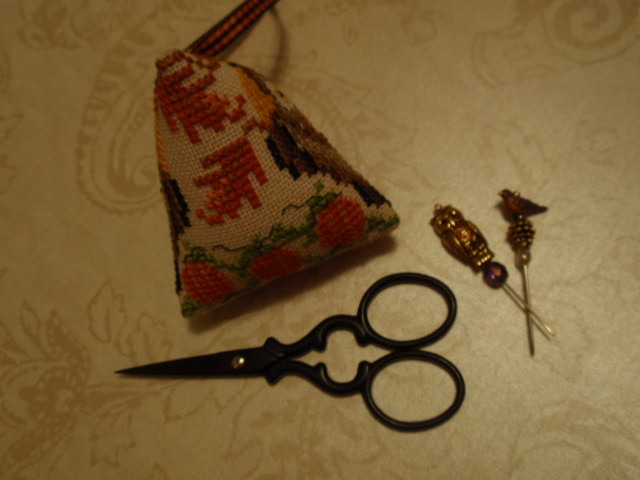 Makes a cute little pincushion. 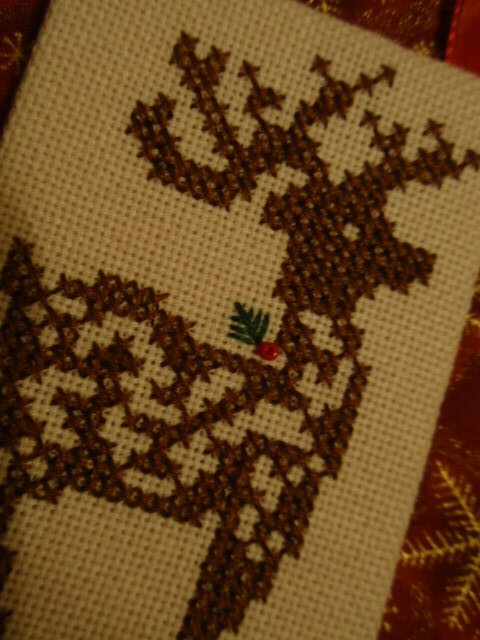 There is going to be a series of these “humbugs”…the next one coming out in January (House of Stitches will have it). 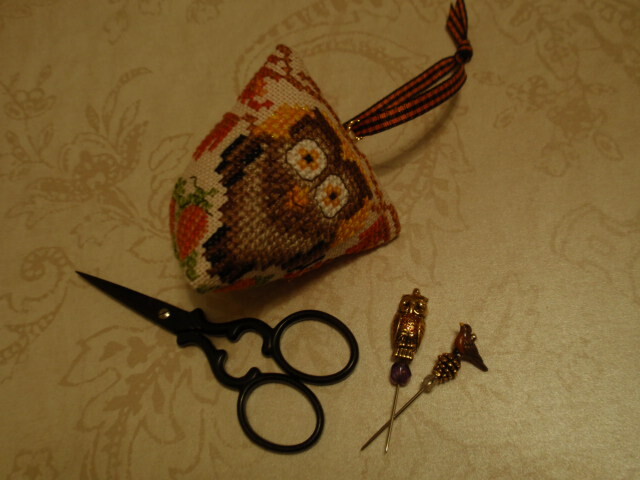 I love the little owl pin that went with it. I have a little robin as well. 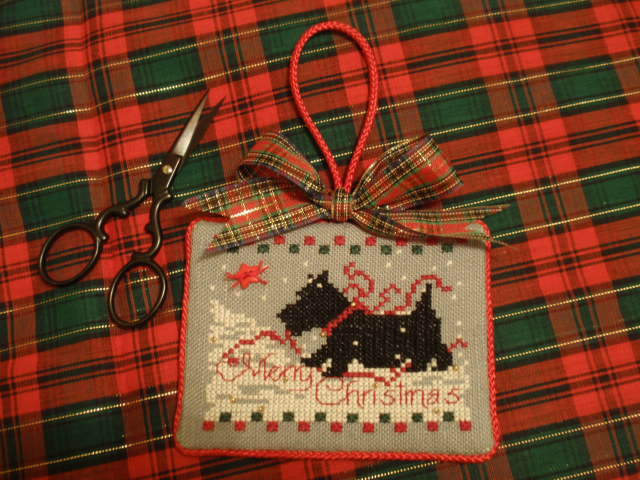 I hope by this time next year I will have been able to actually design some of my own ornaments! But for now I have truly enjoyed the fruits of others hard work and talent. Hope all of you are enjoying the holiday season and preparations for a blessed Christmas.